Ladies, need an easy way to keep the boys distracted while doing battle? 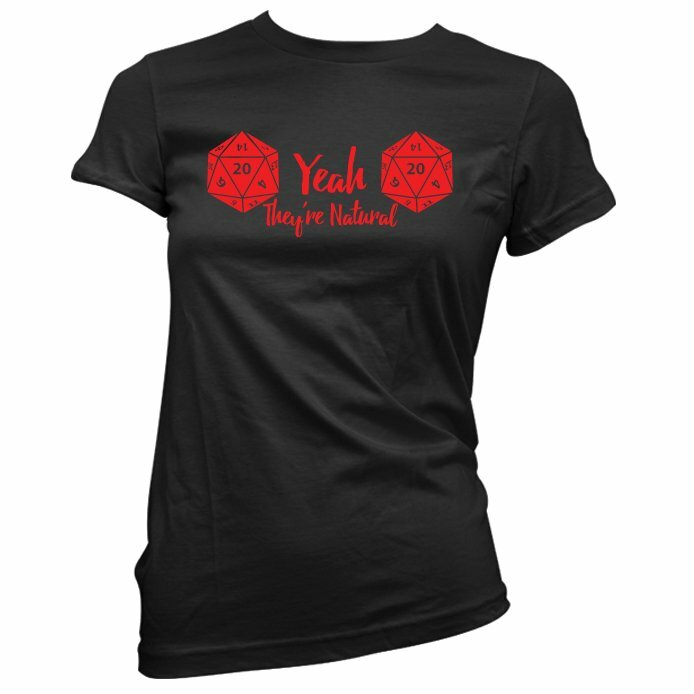 Or maybe you're just looking for a more risqué way to show your love for all things D & D. Either way, we think you'll look amazing in the Yeah They're Real women's D&D t-shirt from Guerrilla Tees. This stylish yet playful Dungeons & Dragons ladies graphic tee comes in black with blood-red graphics and lettering, and a pair of spectacular D20s that are impossible to miss. Wear it while playing, socializing or give one as a gift to your favorite Rogue, Elf or Sorceress.